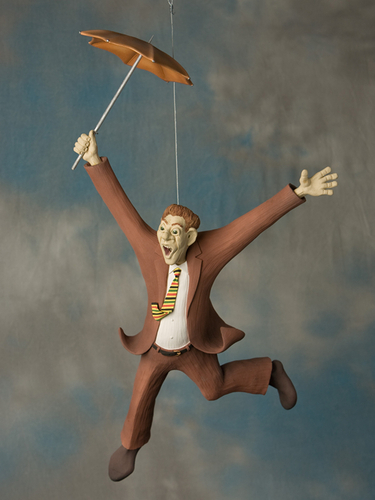 A unique way of decorating your home or office, this hanging sculpture will be a fun conversation piece. 23"H x 15"W x 11"D, stoneware, underglazes, wood, hangs by wire. Available through artsyhome.com.